Why the "Hawk" Native American Theme? On my Father's side, I come from the Blackfoot Tribe specifically the Rainwater Family from Missouri. 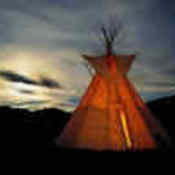 Although I only have 1/8 blood and look nothing like a Native American the "Spirit" lives strong in me. My Native name is Cries For Hawk. When I was just 16 and cruising the country roads in MO, a hawk flew out of the brush on the side of the road and I killed it with my car. The hawk is such a sacred animal, I cried for days. Thus the name. My favorite things and ways are old. Camping is one of my favorite things to do. Reading is a passion along with gardening. I play acoustical guitar and like the old folk songs and songs that tell stories. The "older" I get the more I enjoy just sitting on the back porch and watching the birds, squirrels, ground hogs, moles, opossums, turkey, chipmunks, rabbits, deer, blue heron, and I even saw a little lizard. Online selling used to be fun, and there is no reason why it should not stay that way. That's why I'm here. Don't forget to "STOP" and have fun once in awhile! hawksbargainoutlet doesn't have any items in their booth! Val is just an all around nice person. You won’t find a more honest, trustworthy person. You will always get fast friendly service and great items from hawksbargainoutlet. Professional and honest as the day is long! Buy from her with confidence and sell to her with confidence! Bonanzle is lucky to have her aboard. Val made a purchase through me, and it was an outstanding transaction! I had instant payment, great communication, and a very friendly lady. Hope to do business again soon. For any of your needs, come to Val, she is an asset to bonanzle.